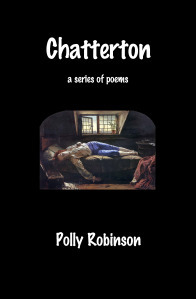 Chatterton is available only as an eBook, click here. The first edition was limited to 50 copies…and they’re sold out—but watch this space, a second edition may be published one day. Categories: Writings & Witterings | Tags: art, Chatterton, Christmas, get yours, gifts, girl's got rhythm, Literature, poetry, Polly Stretton | Permalink.